Fiona Hill has a passion for exploring the cultural undercurrents of ritual social practice that impact on business and private ventures everywhere with a particular interest in the Arab world. By the time Fiona gained her PhD in Anthropology (after Graduate Degrees in Media, Near Eastern Archaeology, Arabic language, and Islamic Studies) she had been wandering about the Arab region for a decade and was totally hooked. Fiona found the region an exciting magnet for all kinds of people from all sorts of businesses wanting to know more about Arabs and Muslims. 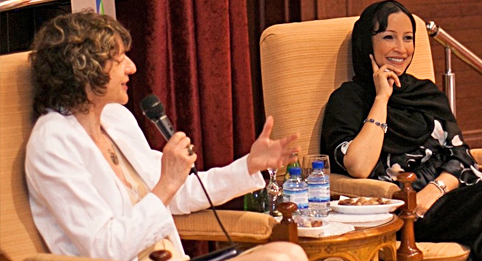 Fiona discovered that her research ability, passion for spreading the good word on the Arab world, and talent for educating were destined to launch her beyond academic life and so her Almanar Consultancy was born. ‘Almanar’ is Arabic for lighthouse and minaret and the business is unique in the world. Fiona created her consultancy before the internet, without any peers, in a then totally male environment, and has run it instinctually helping many businesses navigate a possibly complex environment along the way. The Cape Tavern has a reputation for excellent dining, fine wines and a friendly atmosphere. Located in beautiful Cape Paterson (between Wonthaggi and Inverloch) Mike and his team are experienced at catering wonderfully for SBWN dinner events. The Cape Paterson Tavern will play host at our July dinner event.